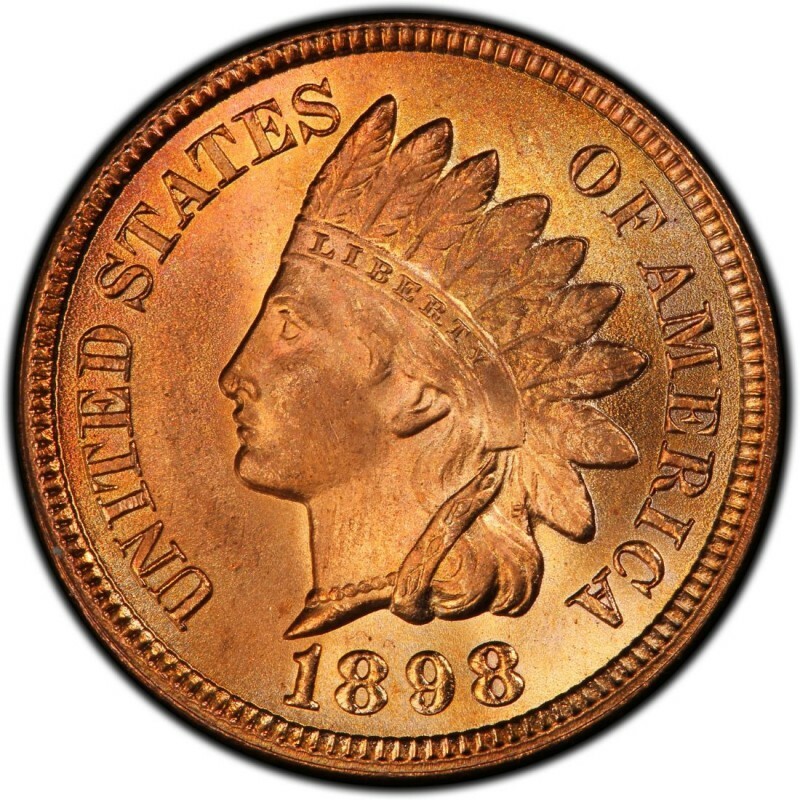 1898 Indian Head cents are common in the numismatic sense and are easily found at coin dealer shops. Usually, one can find 1898 pennies in decent quantities, which provides coin collectors with several options in terms of condition and price. Whether you and and are usually encountered in mixed-date rolls of Indian Head cents. They’re also easily found at most coin shops that deal with 19th- and 20th-century U.S. coinage. 1898 Indian Head cents were made in substantial numbers, with 49,823,079 business strikes produced. 1,795 proofs were made, and these are worth $1,275 in choice condition. While these coins are popularly called Indian Head pennies, the obverse of the coin actually features a representative bust of Miss Liberty. The head was actually modeled after the young daughter of the coin’s designer, James B. Longacre. The story goes that a visiting Native American chief playfully placed his traditional headdress on the young girl’s head. Amused, the elder Longacre sketched the scene and would eventually use that image as the basis for the coin’s design. 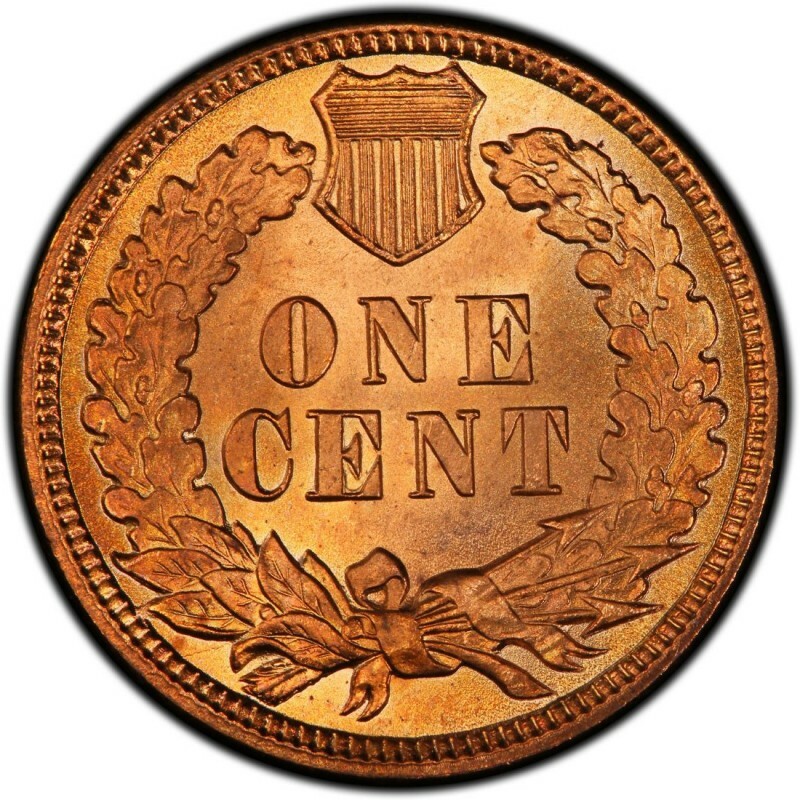 In addition to 1898 Indian Head pennies, Longacre also designed the U.S. two-cent coinage, which became the first coin to bear the motto IN GOD WE TRUST. I own a 1898 Indian head. Perhaps someone could suggest it's worth?